Ugo Colombo was born in Milan, Italy and came to the United States in 1983. His real estate career began while he was studying at the University of Miami and he managed condominiums for non-resident owners at the Imperial on Brickell Avenue. Soon after graduating with a degree in business administration, he acquired the remaining unsold inventory in the Imperial and conducted a highly successful sell-out of the property. This initial foray in real estate led to Mr. Colombo’s emergence as one of the most respected residential and commercial developers in South Florida. After the Imperial project and the acquisition and sell-out of the Villa Regina Condominium with Trammell Crow, Mr. Colombo focused on the design and construction of high-rise luxury condominium buildings. The result was the development of BristolTower and Santa Maria on Brickell Avenue. Both of these buildings – 40 and 54 stories respectively – have become landmarks on the Miami skyline and have redefined the high-rise luxury condominium market in South Florida. Ugo Colombo entered into a joint venture to create the ultimate in country club living, Porto Vita. Porto Vita consists of a total of 360 residences in a Mediterranean-style village in Aventura. This gorgeous 18-acre waterside property has already attracted notable attention, with residences ranging from $750,000 – $2.5 million, and the 34,000 square foot Villa Grande Club. 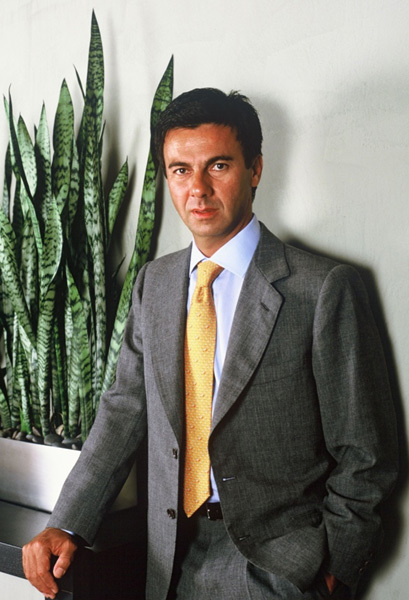 In 1994, Ugo Colombo acquired The Collection, a seven franchise luxury automotive dealership (Jaguar, Porsche, Ferrari, Maserati, Aston Martin, Audi and McLaren), which is one of the top performing luxury car dealerships in the United States. At the time of his acquisition, The Collection’s total annual revenues were approximately $60,000,000. Under Mr. Colombo’s ownership, total revenues have increased more than five times with 2011 revenues projected to exceed $340,000,000. In 2002, CMC Construction completed a 750,000 square foot mixed-use office/retail/dealership facility in southern Coral Gables for The Collection and third-party office and retail tenants. Ugo Colombo’s most recent development successes include Grovenor House, a 166 – unit luxury condominium project in the heart of Miami’s Coconut Grove community (which was completed in 2006) and Epic Residences and Hotel, a 55-story luxury condominium and hotel at the mouth of the Miami River in downtown Miami. Epic includes 342 luxury condominium units and a 411-room hotel managed by Kimpton Hotel and Restaurants and is located on the site of the former Dupont Plaza.